When you first spot the signs of a leak on your property is the best time to contact ADI to find the source of the problem. The longer you wait the worse the background damage is going to get. Our sophisticated detection equipment enables us to find even the most troublesome of leaks anywhere on your property. We always operate with an eye to remaining as cost effective as possible whilst still offering exceptional value for money. 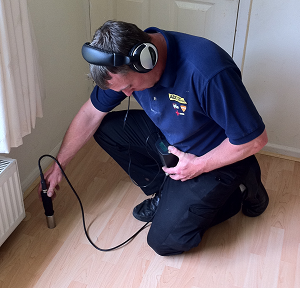 Our engineers are also available to work on leak issues anywhere in the UK. Why not call us now on 08007313843 to discuss how we can be of service to you? 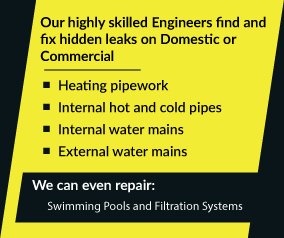 Call Us On 0800 731 3843 For Water Leak Detection & Swimming Pool Leak Detection In The UK.